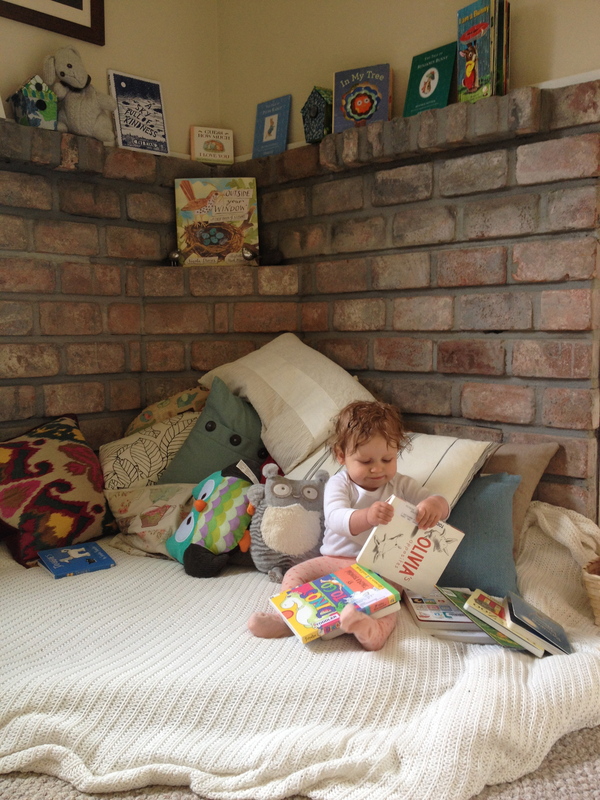 When we moved in to our rented house in California we were at a loss at what to do with the brick structure in the corner of our living room. Presumably it was meant to be a fire place. But there was no stove. So I initially filled it with photos. But with a mobile baby (almost-toddler eeek!) I needed to come up with a new plan. 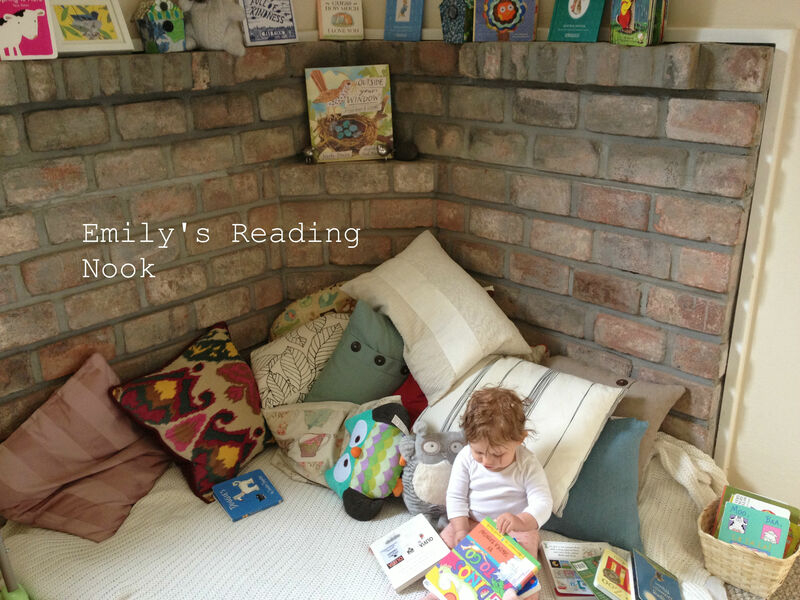 Emily loves snuggling up with me and reading or just sitting and turning pages on her own so the plan for a reading nook was born. The only purchase I made were more pillows. I covered the bottom with old quilts, a duvet and a blanket. 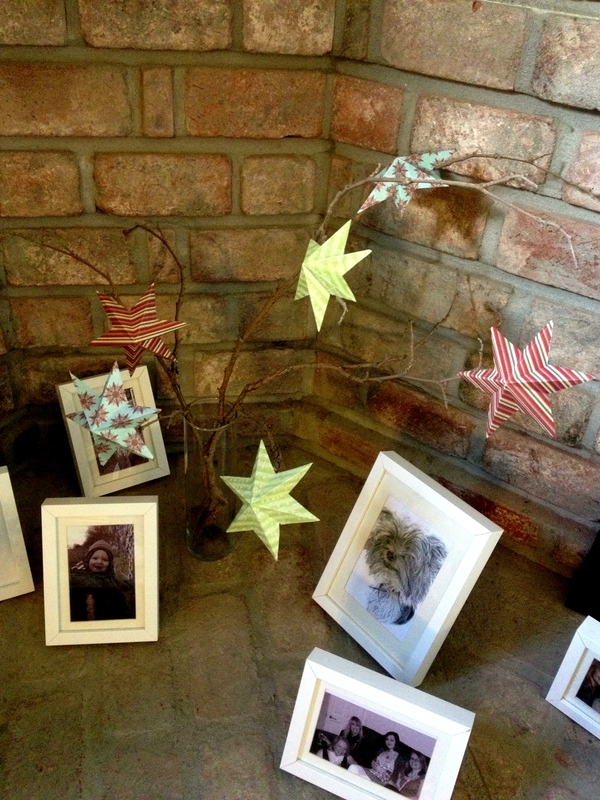 The mantle is decorated with Spring-themed books (and the birdhouses I made before she was born) – I plan to change the theme every so often as I get bored looking at the same things all the time. And when she’s older she’ll be able to help me choose what we put there.